Laura's Birding Blog: Where have all the insects gone? I took my first ornithology class at the Kellogg Biological Station, near Kalamazoo, Michigan, in the summer of 1975, and Russ took a water chemistry class there on the same days. At the time, we were living in East Lansing, and my class started at 6 am, so we had to leave home each morning about 4:30. We always started out with a clean windshield, but on the hour-long drive, we had to pull over at least once, sometimes even twice, to clean the windshield again, because it had become so spattered with bugs that not even the washer fluid and wipers could clean up the goopy mess. This was standard driving procedure back then. It was also common for the snowplows to have to come out to clear mayfly carcasses off bridges. There once were a LOT of flying insects. 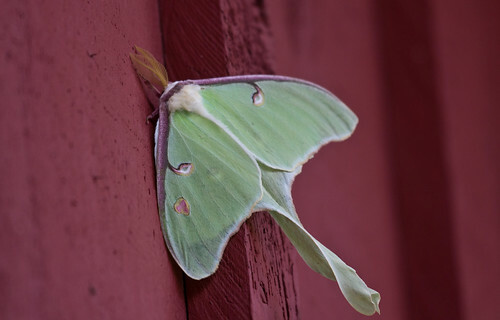 Russ and I moved to Duluth in 1981, and we woke up every summer morning to dozens and dozens of moths clinging to the screens on our windows and back door. 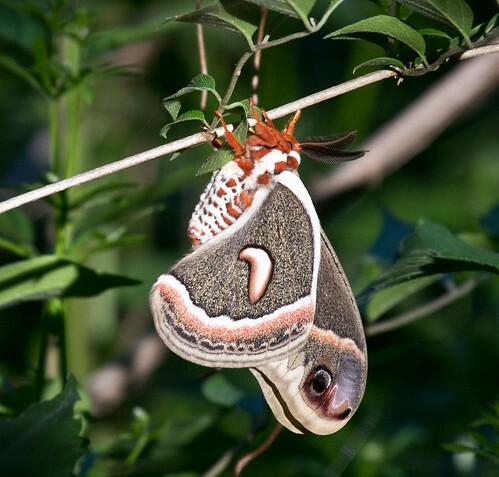 Some were amazingly beautiful—various sphinx moths, and even an occasional luna, io, polyphemus, or cecropia moth. By mid-day they’d have fluttered away or been plucked off the screen by a phoebe or the Tree Swallows nesting two doors down. 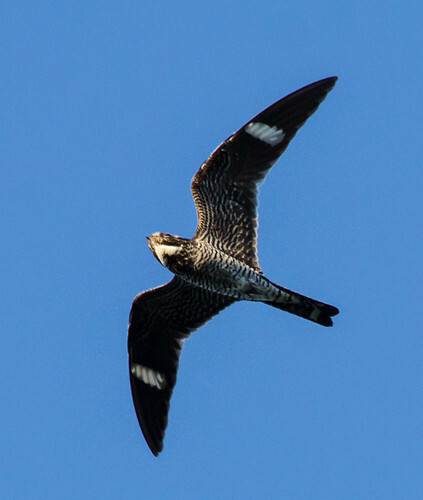 On summer evenings, we could hear Common Nighthawks overhead. They nested on flat roofs here and there all around Duluth. but their numbers are clearly lower than in the 70s. Back in the 80s, bug zappers suddenly came in vogue, and one of our neighbors set up a couple in his backyard. He expected them to take out the mosquitoes, but bug zappers are indiscriminate killers, and the vast majority of zapping noises we heard throughout the evening and night were much too loud for a mosquito—his lights were mostly taking out moths and other innocuous insects that had been sustaining our swallows and nighthawks. On many nights, the loud zapping seemed almost continuous. Bug zapper lights were a short-lived fad, but they were far from the only things killing insects. Mayflies were disappearing as more and more waterfront property was developed with manicured lawns down to the shoreline, fertilizers running off into our lakes, rivers, and streams, supporting algae and other aquatic plants that ultimately depleted the oxygen levels; the most important thing mayflies need during their aquatic nymph stage is well-oxygenated water. At that same time, chemical lawn services and garden insecticides were growing increasingly popular. People who claimed virtuously to use only the relatively non-toxic Bt were a big part of the problem—the form of Bt that kills pest caterpillars kills every other lepidopteran caterpillar, too, including those of Monarch butterflies and Cecropia moths. Phoebes and swallows haven’t nested in my neighborhood since the 80s. 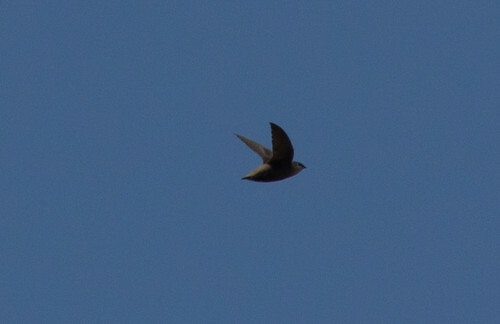 I’m lucky to hear one or two nighthawks during spring migration now, and never hear them during their nesting season. Where we used to have several August evenings each year when thousands of nighthawks wended their way above Peabody Street, we’re now lucky to have one or two evenings a year when hundreds fly over. 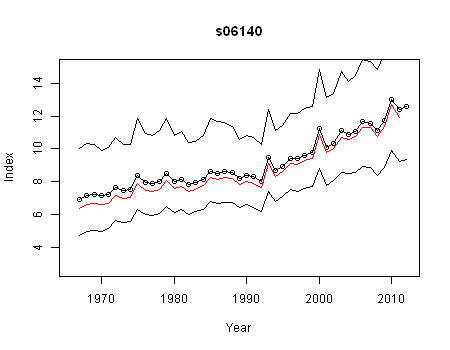 are actually increasing in Minnesota according to the USGS Breeding Bird Survey. Eastern Phoebe numbers are constant or even rising in Minnesota. Last month, the American Association for the Advancement of Science’s journal, Science, published a story, “Where have all the insects gone?” summarizing several long-term studies based on bodies of data from nature reserves and other areas in western Europe and America, documenting massive and dramatic declines in insects. These studies have established that even in places where plant diversity and abundance have improved, insect numbers still declined. One Canadian study involved probing into decades of stratified bird droppings in some old chimneys in which Chimney Swifts have nested for generations. Going through the layers of bird poop, they could track a striking change in the swifts’ diets in the 1940s, when DDT was introduced and suddenly the proportion of beetle remains dropped off. The proportion of beetle remains increased after DDT was banned in the 70s, but never reached the level it had been in the 40s. Meanwhile, most of the insects the swifts were catching were smaller than the pre-1940s species, meaning the swifts had to work harder for each calorie. Chimney Swift numbers have been steadily declining since the 70s. 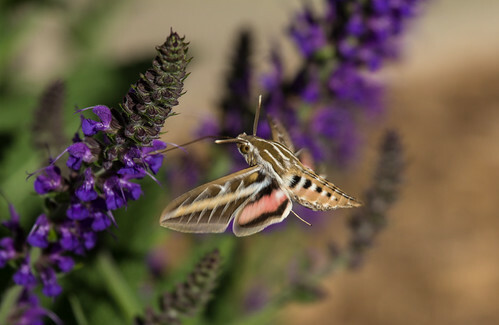 Some of the causes of insect declines scientists are looking at include habitat loss, increased use of fertilizers, light pollution, and pesticides, especially neonicotinoids. 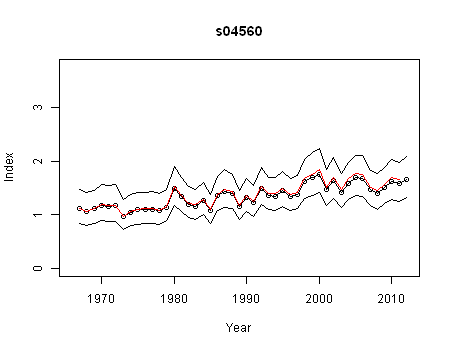 But the widespread, dramatic declines are almost certainly due to multiple factors, so even beginning to solve the problem will require multiple fronts of attack. 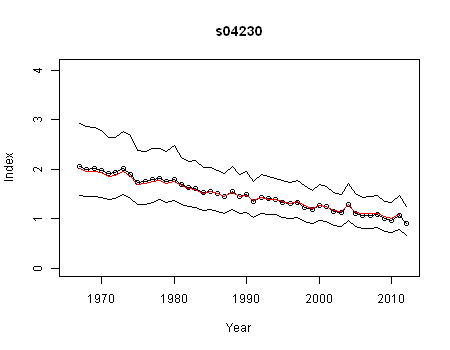 I’ve been talking about declining insect numbers since the 90s—that seemed quite obviously a serious factor in the declines of so many of my favorite birds that feed entirely on flying insects. 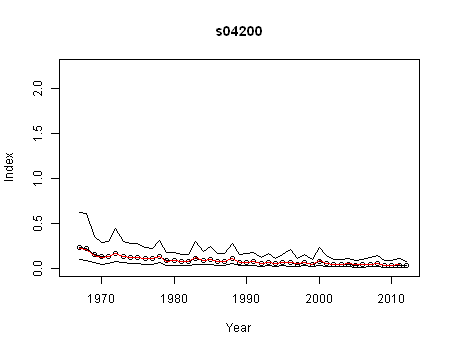 And for years, people have been criticizing my conclusions because I had no proof of widespread declines in insects—just the anecdotal observations on my car’s windshield and on my window screens. I’m glad some scientists are taking these problems seriously and starting to quantify the decline. Solving the many factors that have contributed to the decline in important insects will be extraordinarily difficult as it is. It will be outright impossible until we acknowledge that there is even a problem. I've had people scoff at me when I mention the differences between now and the days when the windshield and grill would be covered with insect casualties. But I know what I saw, and I know what I see. We used to drive thru downtown Beulah, Michigan when the streets were literally covered with Mayflies. The same thing goes for frogs: Disappearing. In. Our. Lifetime. One thing that really concerns me is the use of herbicides. Yes, yes insecticides and specifically neonics, yada yada yada. But I believe that the herbicides on the bazillions of perfect lawns are killing the larva and pupas of variety of insects who harbor underground for parts of their life. They are down there, hunkered in the roots of whatever may grow in the lawn. Can these life forms, which may gestate underground for years, survive the repeated application of herbicides? Doubt it. I have dug up dead Junebugs after clearing a small patch of lawn for a garden by using roundup. Won't be doing that again.